I posted this to Twitter today and some may be wondering is this just a random Tweet or is there something more to this little innocuous post? This book is a book that most of you will regret not buying the second it comes out and will be angry that I did not write it sooner. This book can and will change your life, if you let it and lastly, this book will never be cheap. Do I sound like I am quite confident in this book’s value to people? I sure hope so because that is the truth of the matter. The truth is not evil or good…it is just the truth. When I write I do so to serve the story, not to serve what people say is the quickest way to trap people into reading. This is what real writing is about. The story comes before all else. In choosing to follow this path, I won’t be looking for gimmicks such as killing off characters, to keep attention. That is simply cheap and lazy. A good story does not require such things. It only requires the author’s full attention. It demands they reach inside and find the truth of the story. Knowing how the story will end helps to further a more involved plot, with sub plots that in turn, all make sense once you finish the book. To read one of my books and not finish, is like eating pizza with no toppings. Rather bland indeed! You should always keep in mind, when reading ANY book, that the pot of gold is at the END of the rainbow. I am not out trying to make a fast buck by creating a twist from another person’s ideas. I am building a legacy and this can only be done one way. To serve the story. I do not know or desire to write any other way. I have no desire to lower my writing to the morass of gimmicks and laziness. I will always do it right or not do it at all. I urge all readers, to continue reading any of my books, you have started. In doing so, you will end up gaining much more than you dreamed, and I will end up with another 5 star review. This is a win for both of us. Keep reading them books, my friends. If the book gained your interest in the beginning, then chances are, it will reward you in the end. Have a great day and read ,read, read! While I will never give my books away for free(for many reasons, see this article), I will always strive to bring as good of prices as possible. Limited sales, limit my options but I will continue to try and give readers the best price I can. For a limited time, the first Shadow Shifters book is just 99 cents. This should give more readers an opportunity to jump into this paranormal/fantasy horror series. I also lowered the price of the second Shadow Shifters book. The price will never be lower. So if you are waiting for free…you might as well find something else to wait on that may happen, like a world were all people are treated equally. I also lowered the paperback versions to reflect the actual cost of the book. Yes, this means I really don’t make squat on them, but at least now you pay more, you get a longer book. They are now in the same price range as any current paperback you can buy at the store however mine are larger size(6×9). How long will this pricing structure last? I guess as long as I can afford to make no money from them. With the recent cost of my wife’s medical issues, I can assure you it won’t be long. Take advantage of the holiday pricing while you can. Keep in mind all my books have been edited and beta read by others before being released and that you can read chapters and excerpts before buying. So make an intelligent decision before you buy. I hope this lower pricing helps readers get something they want and if this proves to be desirable to them, I will maintain these prices as long as sales continue. Just a couple of updates. 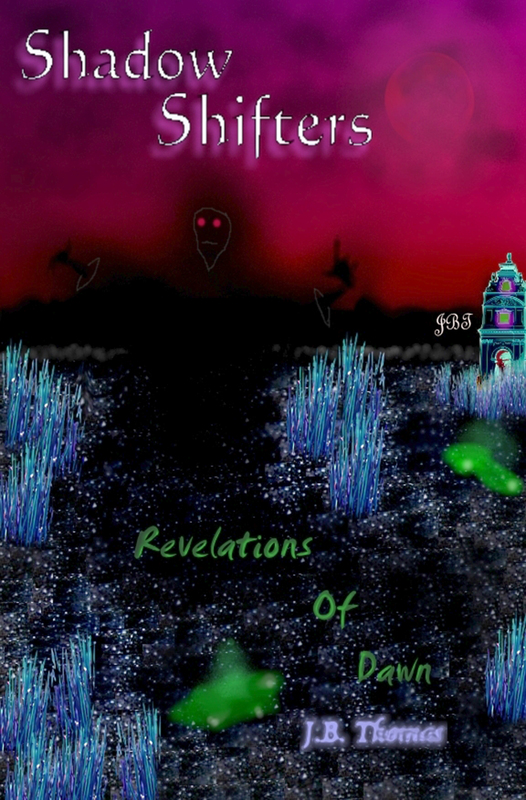 First, Shadow Shifters 2 will be going to the beta readers today. When they finish, final corrections are made and then the book will be published. So it should be released within a month. When it is released the first book of the series will be 99 cents for exactly one week. So stay tuned if you are interested in giving this YA Paranormal Horror series, with Sci-Fi and fantasy elements, a try. There will not be a better time to jump aboard! I am on the last phase of my Benzo tapering starting today. One month down and one month left to go. I want to thank everyone who has been there to offer support. It has been very helpful knowing I am not completely alone. After I finish with the Benzo withdrawal I will take a couple of weeks break before I quit something else. I am finally going to say good bye to cigarettes. I will be quitting this 35 yr.+ habit because I am tired of throwing away the money and I need health insurance to take care of some of my major health issues, such as heart problems. Unlike the Benzo cessation, I will have to be more active to accomplish this task. That means (hopefully) after the first couple of weeks, I will be back to creating as full speed. That’s it for today! I hope everyone has a great day and week! TC and I will see ya when I see ya! An enemy, a foe, that can turn invisible at will! A enemy that bullets cannot harm! In fact, no physical weapon known to man, can harm it. An enemy that moves with lightning speed and is rarely seen. Imagine an enemy that sends out waves of emotions so strong that you are brought to your knees, filled with pressure upon your chest, and consumed by emotions of hate, anger, and despair so completely, that you would rather die, than feel them for one more second. Imagine an enemy that attacks at night…while you sleep. An enemy that steals your memories, and when they are all gone, you die! Yes, you die and become their slaves! Now imagine that this enemy, this foe, is here right now. It is 100% real and could be feeding off you every night. Scared yet? Now stop imagining and begin reading, for you have just entered the world of Shadow Shifters!!! Here are the Amazon links for each country.